The HUNTER Company is a tradition-based enterprise, which has specialized in the production of high-quality leather articles for dogs, cats and horses since being founded in 1980. The quality of each individual product, combined with attractive design, practicality, and the highest degree of safety are and will continue to be at the centre of our company business activities. ALQO WASI means “Dog Home” in Quechua, the language of the Incas. In the landscapes of the Peruvian Andes, at elevations of 10,000 to 14,000 feet above sea level, thousands of years ago the Incas domesticated the Alpaca. Alpaca Fiber, along with cashmere and silk, is one of the most finest fibers in the world. Alpacas are members of the South American Camelid family. Together with Llamas, Guanacos and Vicuñas are called the “Gold of the Andes”.The Alpaca Fiber is a superb source of shine and texture. Alpaca is the only animal species worldwide, whose hair naturally displays a wide array of colors, going from black to white, through different shades of brown and gray, allowing the animal to blend with the Andean landscape. And the fleece dyes to glorious colors as well. Alpaca is a sheared fiber, never skinned. Native Andean herdsmen shear them every other year at the onset of the rainy season. Alpaca Fiber is seven times stronger and three times warmer than merino wool. The fiber actually contains microscopic air pockets that contribute to the creation of lightweight apparel with very high insulation value. Alpaca is silky against the skin and heavenly smooth to the touch. It is hypoallergenic and lanolin free; it does not absorb or retain moisture and it often wearable for those people who are allergic to wool. RuffWear is a bootstrap company built on experience, lessons learned through failures, and our successes in addressing the needs of adventurous, fun loving people and those tongue-wagging dogs. Paws-itively Fresh is Legacys trade mark and we do not use it as a catchy phrase but to explain our tradition. At Legacy Pet Foods Inc. We pride ourselves on the fact that we only use fresh hormone free, antibiotic free, range fed meats that are carefully butchered to the highest standards of cleanliness and are all human grade Goverment inspected. 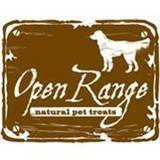 Open Range All Natural Pet Treats are the best choice for your pet! At Open Range, providing all natural products that contribute to your pets health, happiness and well being is our goal. All of our products contain no added hormones, animal by-products, preservatives or steroids. Open Range All Natural Pet Treats are naturally processed and exceed the standards set forth by the Canadian Food Inspection Agency and the Food and Drug Administration (USA). SOJOS RAW DOG FOOD MIXES are made from scratch with whole food. flavors. Just simple, real ingredients like you’d find in your own kitchen. commitment to you and your four-legged friends. formation, interferes with tartar growth and may aid in healing soft tissue. premium materials to ensure the safety and comfort of your best friend. products you will love. We make walking your dog fun! touches is non-toxic and water resistant. Our team of in-house designers ensure our beds reflect the latest trends in home decor. Our original, stylish and practical designs have become the gold standard in the industry. for quality and workmanship. Our beds are designed with zippered covers for easy care. high memory virgin polyester fibre and Eco-Tex Certified upholstery grade fabrics. ship products, making our shipping process quick and efficient with fewer emissions.